Discussions about the Internet of Things (IoT)—the networked connection of physical objects that can share information— usually focus on the operational changes the IoT will bring to the supply chain. 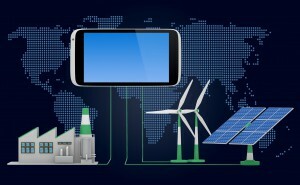 One aspect often overlooked is the IoT’s potential for creating a greener supply chain. James Macaulay, Cisco Consulting Services, co-authored The Internet of Things in Logistics, a Cisco/DHL report. He sees the IoT impacting sustainability in two primary ways. “One is very directly in terms of optimizing energy usage along the supply chain. That could be an intelligent warehouse that only uses lighting where it’s needed, or it could be vehicles that use intelligence embedded systems to idle more efficiently. There are a lot of smart vehicle and smart building technologies that will have a very direct impact in terms of sustainability,” he said.